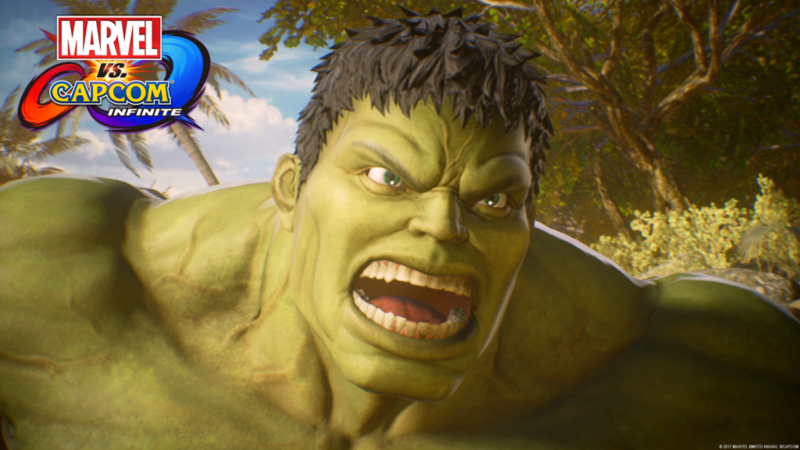 Today, Capcom announced a Hulk-sized helping of new information for Marvel vs. Capcom: Infinite, the highly-anticipated return of the revered action-fighting game series. Imagined and created through a shared vision between the two companies, the game will feature free-form 2v2 team battles integrated into a wide variety of exciting and accessible single player modes and rich multiplayer content for new players and longtime fans alike. 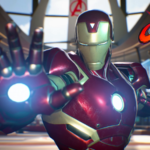 Marvel vs. Capcom: Infinite will simultaneously release on the PlayStation 4 computer entertainment system, Xbox One, and Windows PC across North America on September 19th, 2017. For the first time in franchise history, the Marvel and Capcom universes collide in a visually stunning and immersive cinematic Story Mode, as heroes and villains battle together to save their merged worlds from a sinister new threat, Ultron Sigma. 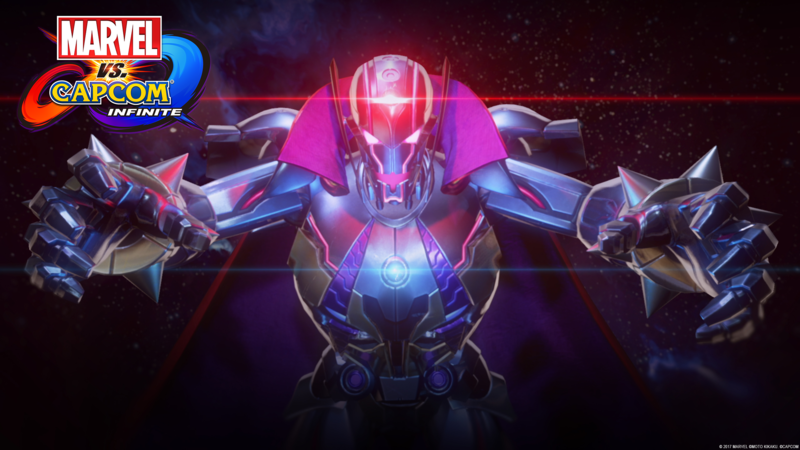 A combination of the robotic foes known as Ultron from the Marvel Universe and Sigma from the Capcom Universe, this psychotic villain is obsessed with infecting all organic life with a cybernetic virus. History’s greatest gathering of warriors must now unite to fight back against Ultron Sigma and save their newly formed world. 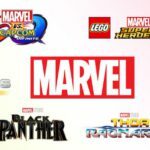 Each newly-added character will feature unique abilities, iconic special moves and will join other previously announced characters, including Captain Marvel, Iron Man and Captain America from the Marvel side, and Ryu, Mega Man X and Morrigan from Capcom. 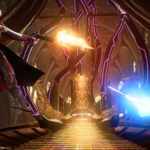 The use of powerful, game-changing Infinity Stones further deepens the customized gameplay and allows players to equip and unleash elemental in-game powers, such as Time, Power and Space. In addition to the compelling cinematic story experience, single player Arcade, Training and Mission modes and vast multiplayer offerings will provide memorable experiences and infinite gameplay possibilities for players of all skill levels. 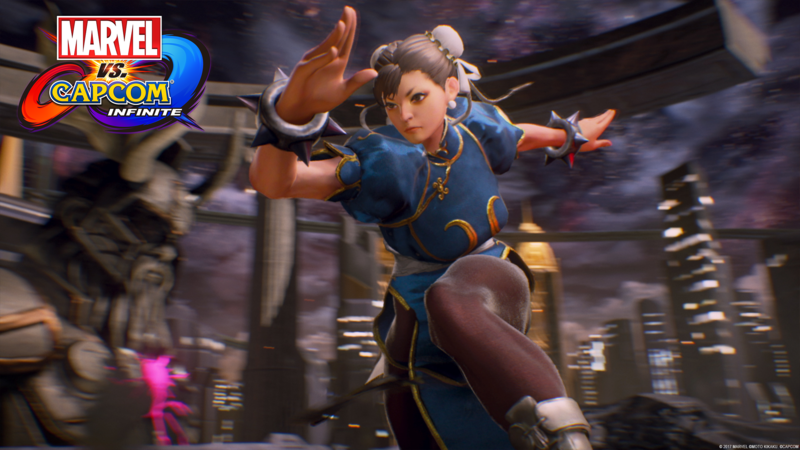 More characters, stages, game features and story mode details will be revealed in the coming months. Pre-orders for Marvel vs. Capcom: Infinite are available beginning today on all platforms for the $59.99 MSRP Standard Edition and $89.99 MSRP Deluxe Edition. The Deluxe Edition includes the main game on PS4 or Xbox One and a 2017 Character Pass, which contains access to six all-new additional post-launch characters including Sigma, the main antagonist from the Mega Man X series. Pre-order bonuses for all versions in North America include Warrior Thor and Evil Ryu costumes. Check with individual retailers for details in Europe and Australia as some offers may vary. The pre-order bonus for the Deluxe Edition is the same as the Standard Edition, but also includes two additional costumes: Gladiator Hulk and Mega Man Command Mission X. For specific details, please check with individual retailers. Capcom also confirmed today that a limited Marvel vs. Capcom: Infinite Collector’s Edition, brought to you by TriForce, is available now for pre-order on PS4 and Xbox One. It will include four premium character dioramas of Iron Man, Captain Marvel, Mega Man X and Chun-Li, a case filled with six Infinity Stone replicas, as well as SteelBook packaging that contains the Deluxe Edition of the game, all for only $199.99 MSRP. Contents may vary depending on region and for European pricing please check with retailers. 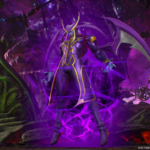 All editions and versions of Marvel vs. Capcom: Infinite will simultaneously release on September 19th, 2017.